Journey to the Christmas Star is a classic Norwegian fantasy film from 1976. It has captured the imagination and spirit of generations of Norwegians. Now the cast is beginning to come together. The 1976 feature film Journey to the Christmas Star has become an essential part of Christmas to thousands of Norwegians, as it is shown on TV every Christmas evening. Now a remake is being prepared, directed by original Pathfinder helmer Nils Gaup. Shooting starts in early January, and one of the locations is Brno in The Czeck Republic. Parts of the cast is now ready. Jarl Goli will play a star reader/astrologist, and other actors include Anders Baasmo Christiansen, Agnes Kittelsen, and Andreas Cappelen. The main character Sonja, played by Hanne Krogh in 1976, will be played by 12 year old Vilde Zeiner from Oslo. Moskus Film is the company behind the new movie, which according to the producer will be closer to the original 1924 stage play, than the 1976 adaption. The script will be written by Kamilla Krogsveen for a budget of around 28 million kroner, around 5 million USD. 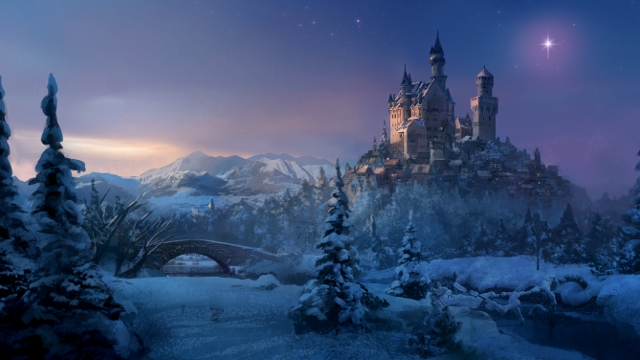 Journey to the Christmas Star is scheduled to be released theatrically on November 12, 2012, distributed by Disney. This is the first time Disney distributes a Norwegian film.